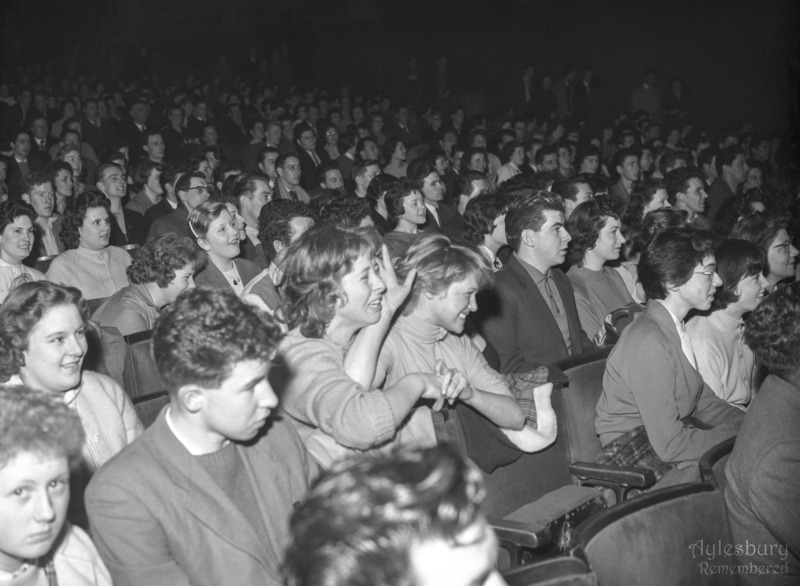 Following the 1958 shows, a further seven shows were staged in 1959. 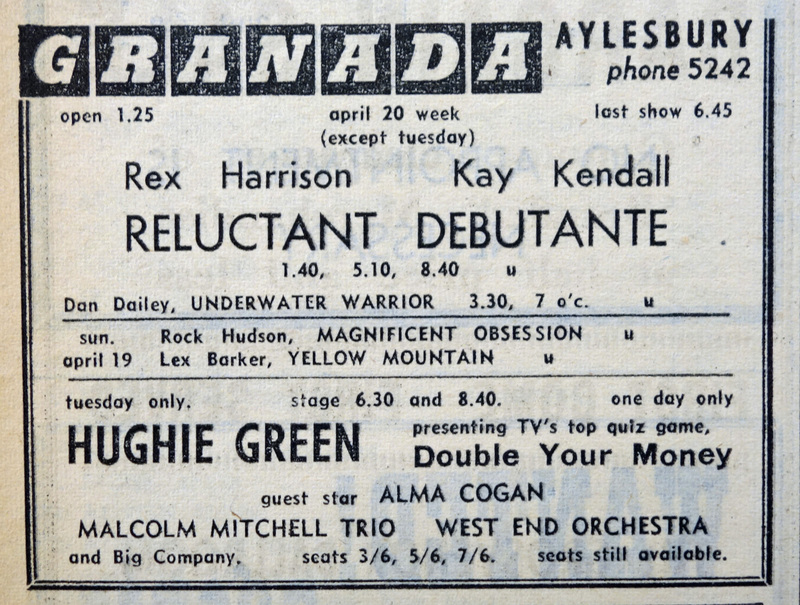 Again these offered a range of headliners. 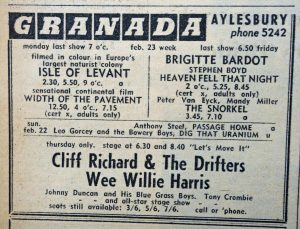 The first show was in February and bought Cliff Richard and the Drifters to Aylesbury. 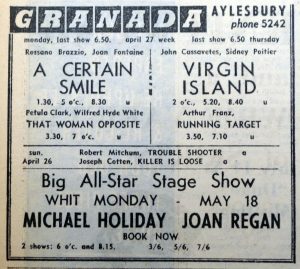 The Bucks Advertiser reported that 2,800 people were there – which seems alot, given the normal seating capacity of the Granada was 1,234. 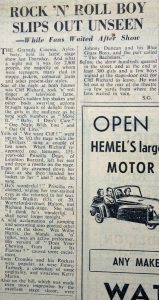 See report below; click on image to enlarge. 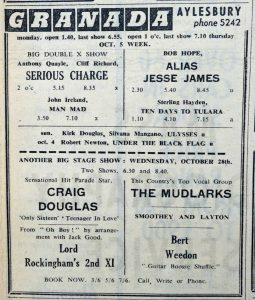 Also on the bill was Wee Willie Harris – described in the same review as “the blonde rock ‘n’ roller, was an active performer”. The compere was Jimmy Tarbuck – “a comedian of some originiality”. 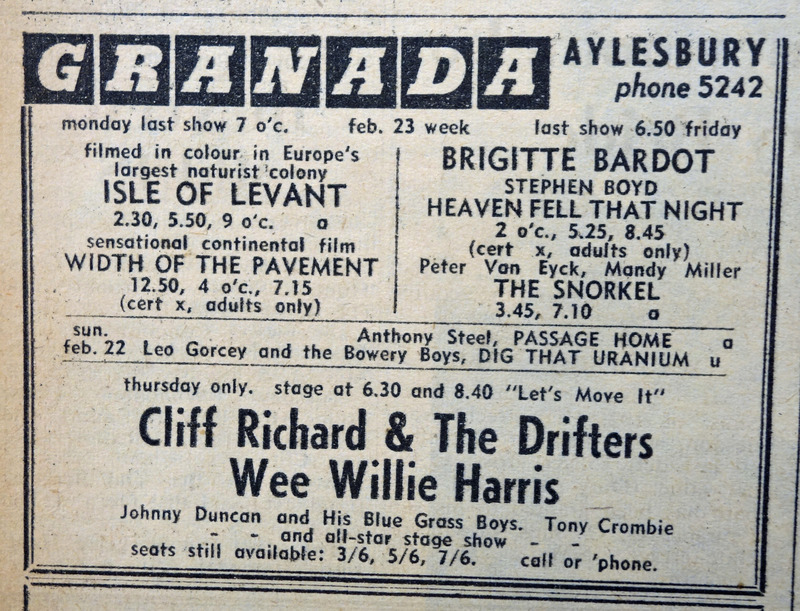 Cliff Richard was popular in Aylesbury. Some years later, in 1963, his film “Summer Holiday” broke the records for any film at the Granada, with long queues in the High Street. 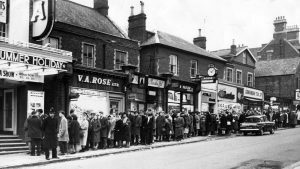 Photo: courtesy of Brian Gauntlett. 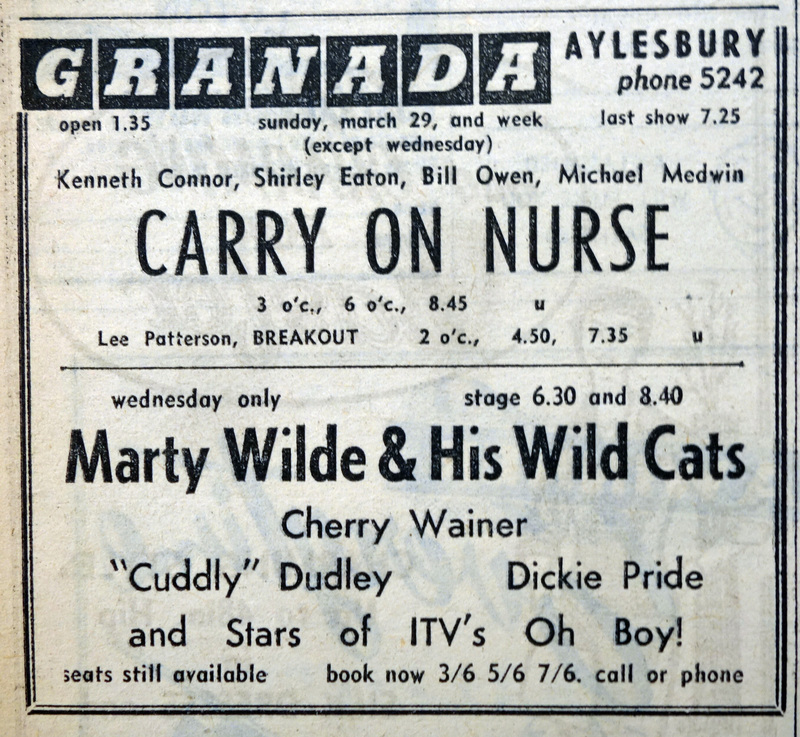 Marty Wilde and his Wild Cats appeared on 1st April.From mid-1958 to the end of 1959, Marty Wilde was one of the leading British rock ‘n’ roll singers, along with Tommy Steele and Cliff Richard. Hits included “Endless Sleep”, “Donna”, “A Teenager In Love”, “Sea Of Love” and “Bad Boy”. Cherry Wainer was a keyboard player, best known as a member of Lord Rockingham’s XI – a scratch and who had a number one with “Hoots Mon”. Cuddly Dudley (Dudley Heslop) was Britain’s first black rock & roller, later lead singer of Red-E-Lewis and the Redcaps. 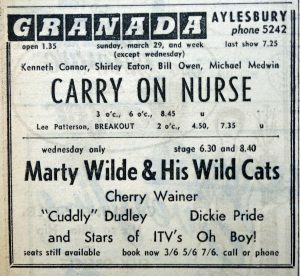 Dickie Pride (Richard Kneller) was one of Larry Parnes’ acts (alongside Marty Wilde and other artists such as Tommy Steele, Billy Fury and Vince Eager). 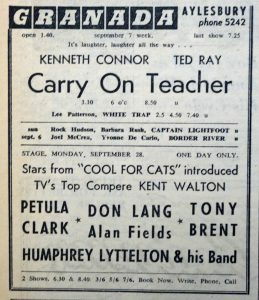 All had come to fame on the Oh Boy! TV show. 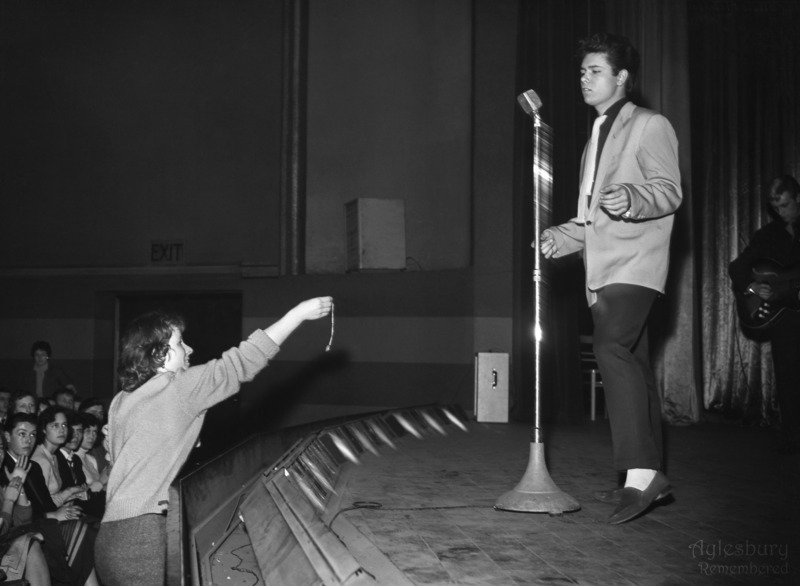 Dickie Pride – Slippin’ and Slidin’ on Oh Boy! 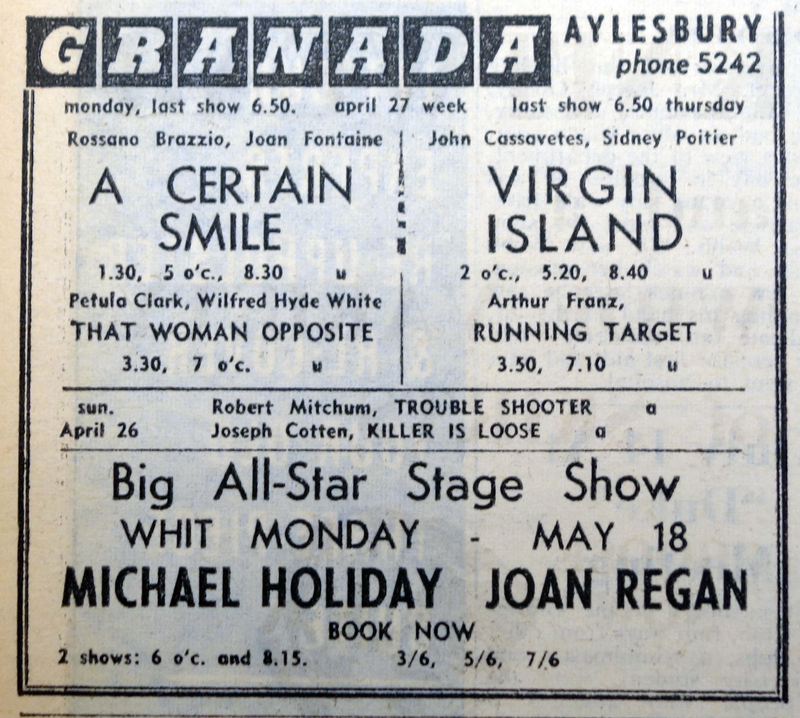 Michael Holliday, described as a crooner and “the British Bing Crosby” appeared in May. He had two British No. 1s with “Story of My Life“ and “Starry Eyed”. He died in 1963. 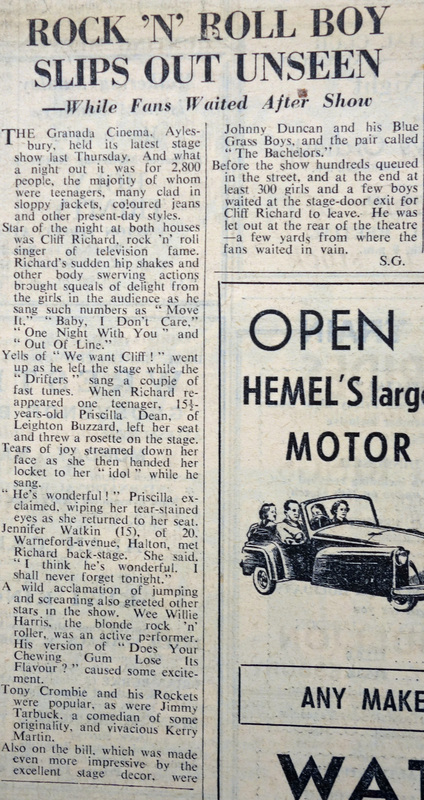 The Bucks Advertiser reported that he performed with a stiff neck “caused by driving with his car windows open”. 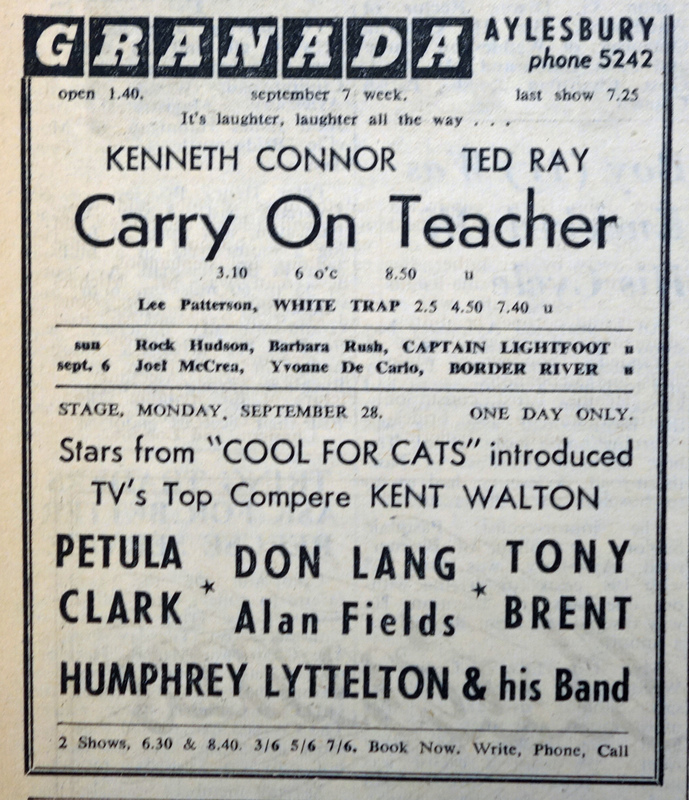 September saw Petula Clark heading a bill that was based around the Cool For Cats TV show, which also included Tony Brent, Don Lang and Humphrey Lyttleton and his Band. 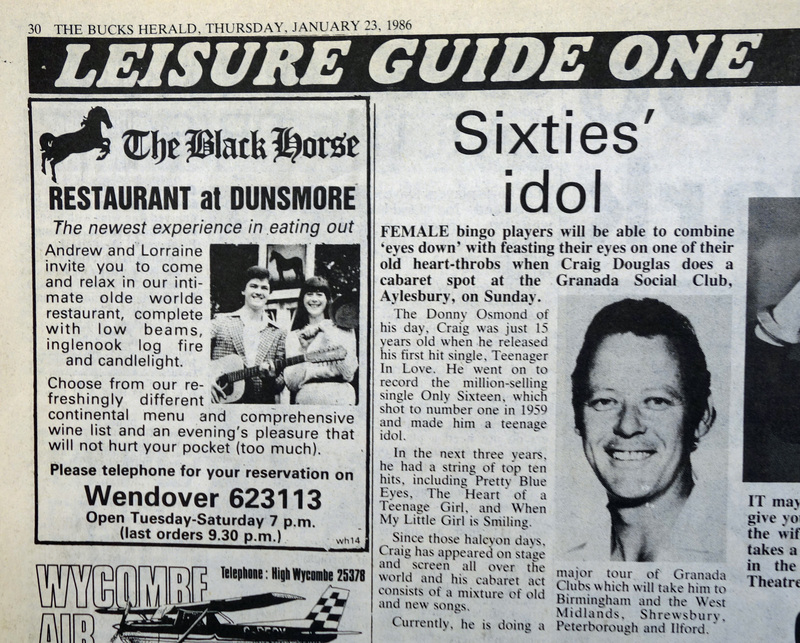 In October, Craig Douglas appeared. His version of “Ony Sixteen“ reached No. 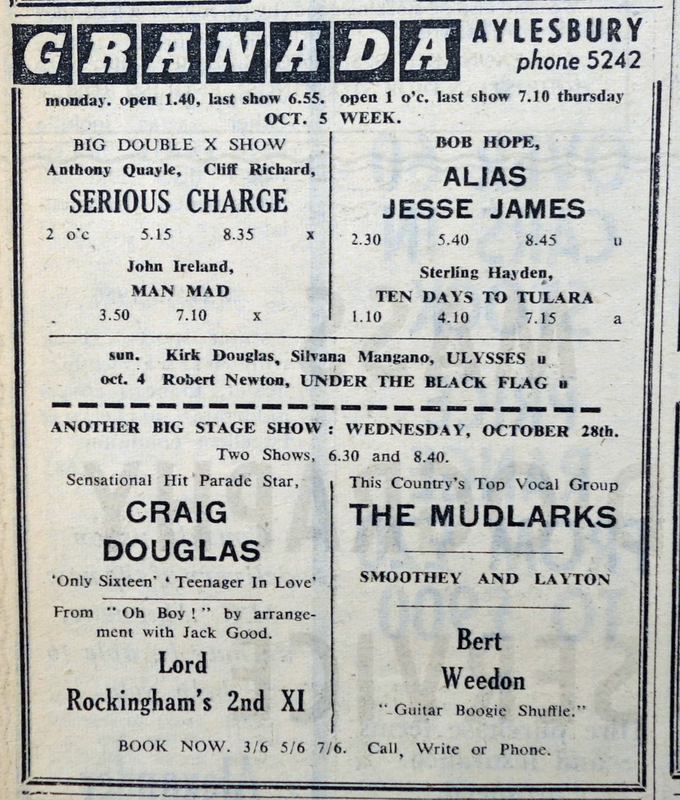 1 and out-sold the Sam Cooke original. 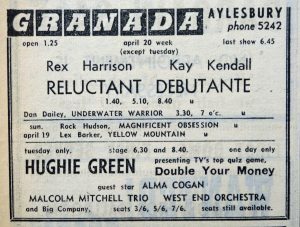 Guitarist Bert Weedon, who had just released “Guitar Boogie Shuffle“, and The Mudlarks (from Luton) also played. 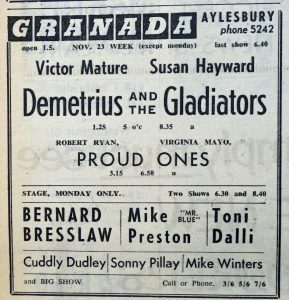 The final show of the year was back to variety, with Bernard Bresslaw as the headline act. 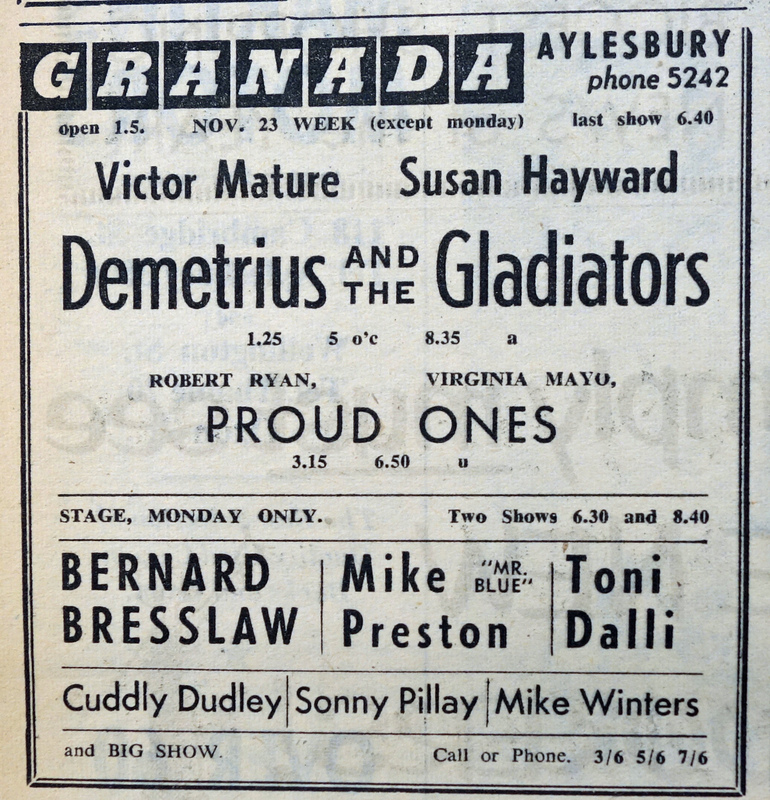 The music interest was provided by Mike Preston, Cuddly Dudley and Toni Dalli, with Mike Winters as the compere.